George C. Scott ... General George S. Patton Jr. Direct from its sensational reserved seat engagement. Played by the 7th Army band when Patton greets Montgomery in Messina, to drown out Montgomery's bagpipes, and then by the British Auxiliary Territorial Service band at the dedication in Knutsford as Patton and his staff arrive. 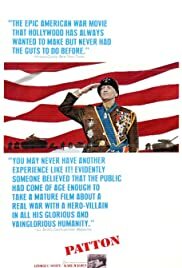 Q: Was Burt Lancaster Suppose to Star as Patton? Q: When Did Fox Decide to Film "Patton"? 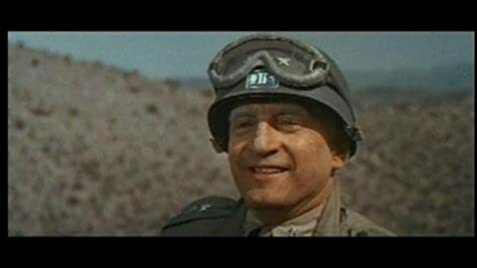 George C Scott dominates this film in a memorable portrayal of US General Patton. Once in a lifetime can an actor get such an opportunity. Mr. Scott brings General Patton to life in a bravura performance. FrankliN Schaffner was a fine Director and he guises the film brilliantly but it is George C Scott who gives one of the greatest male performances I have ever seen. As we all know, Mr. Scott refused the Oscar for which he so richly earned. A fine supporting cast in this 20th Century Fox film which was a smash hit.